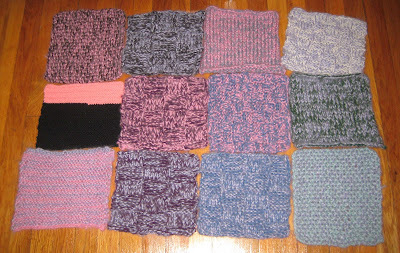 Here are some fun square patterns I found or adapted from Ravelry that I incorporated into my Pine Street Inn Knit-a-Thon blanket. 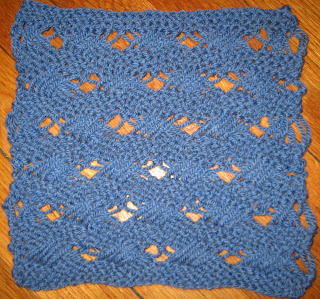 I followed this scarf pattern, starting with 36 stitches to get a 9" square. 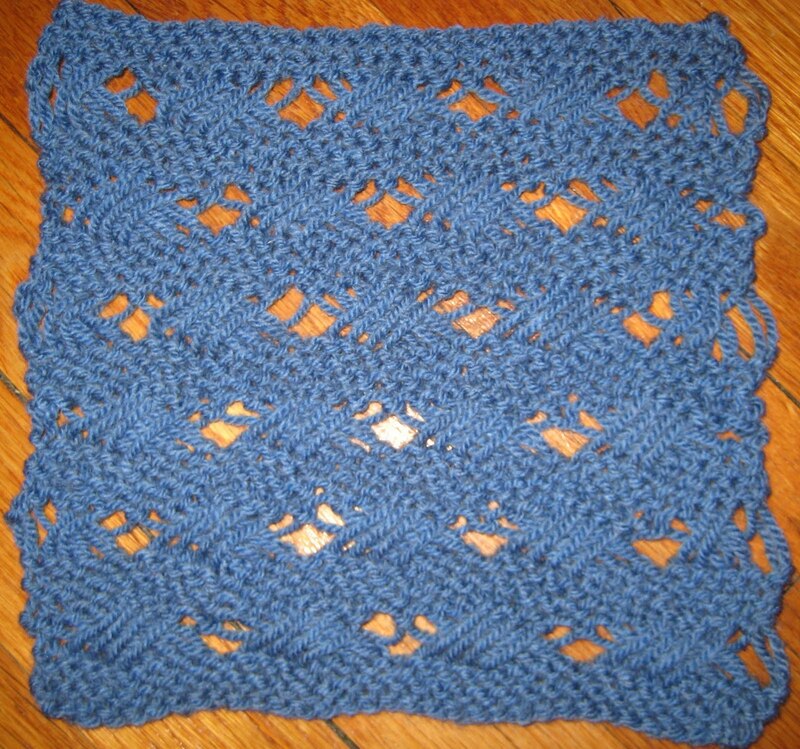 It was so fun to use that I have made a total of 3 squares in this pattern thus far. 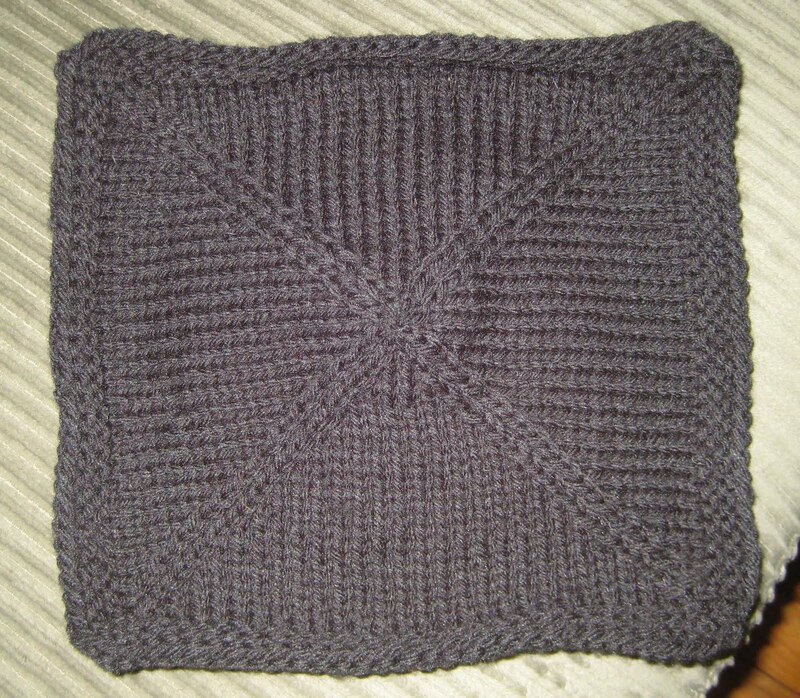 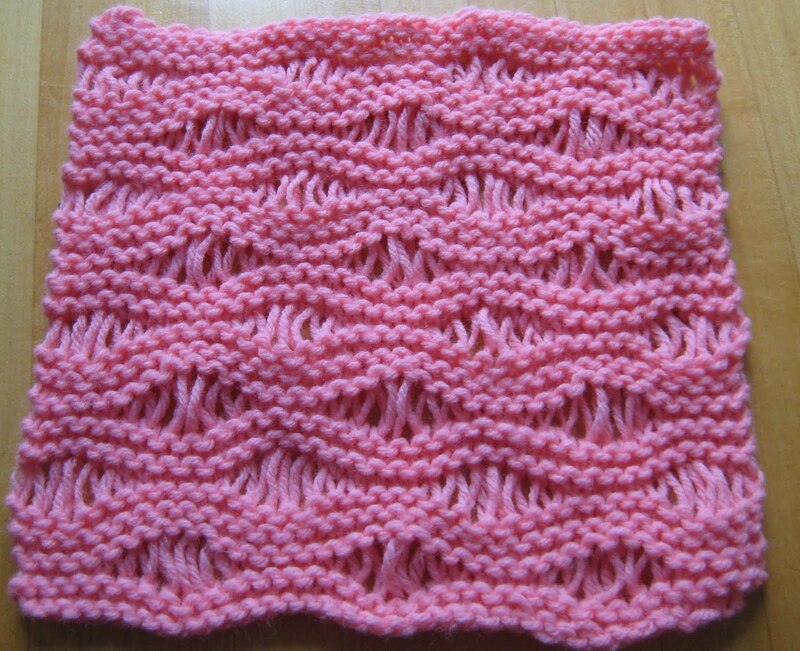 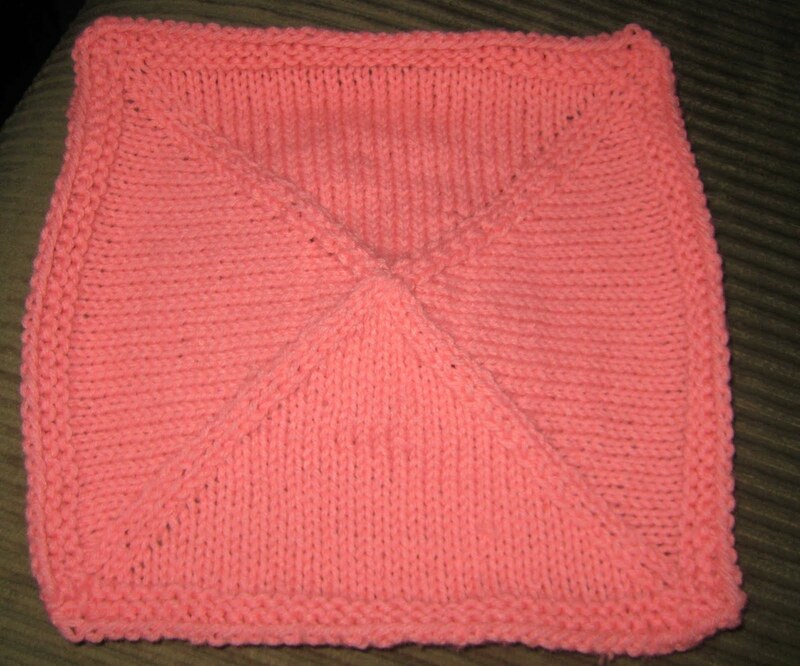 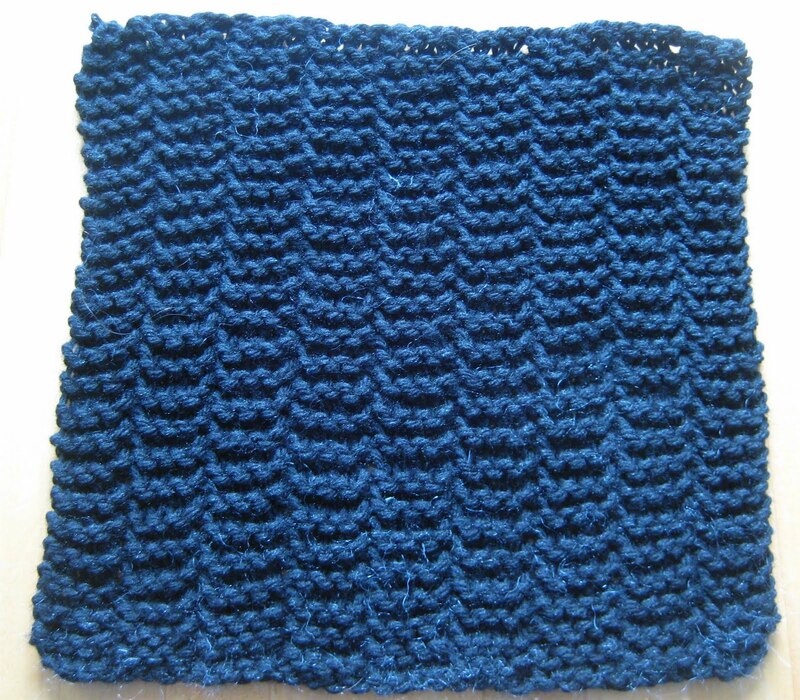 The concept for these squares is really intriguing, you knit the square in the round where the CO edge is the outer edge of the entire square. 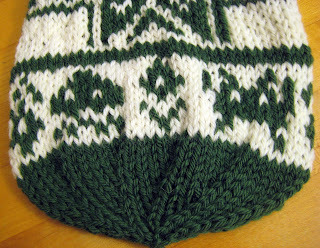 I needed to reduce the number of stitches since I only had size 9 round needles of the right length (the pattern calls for seven). My pink square is about 0.5" too large in all dimensions, but I'll still incorporate it into the blanket. 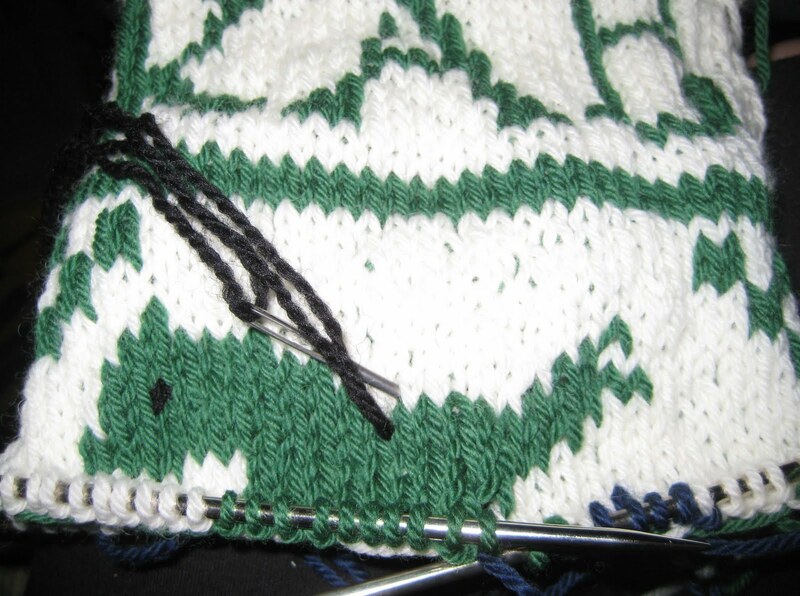 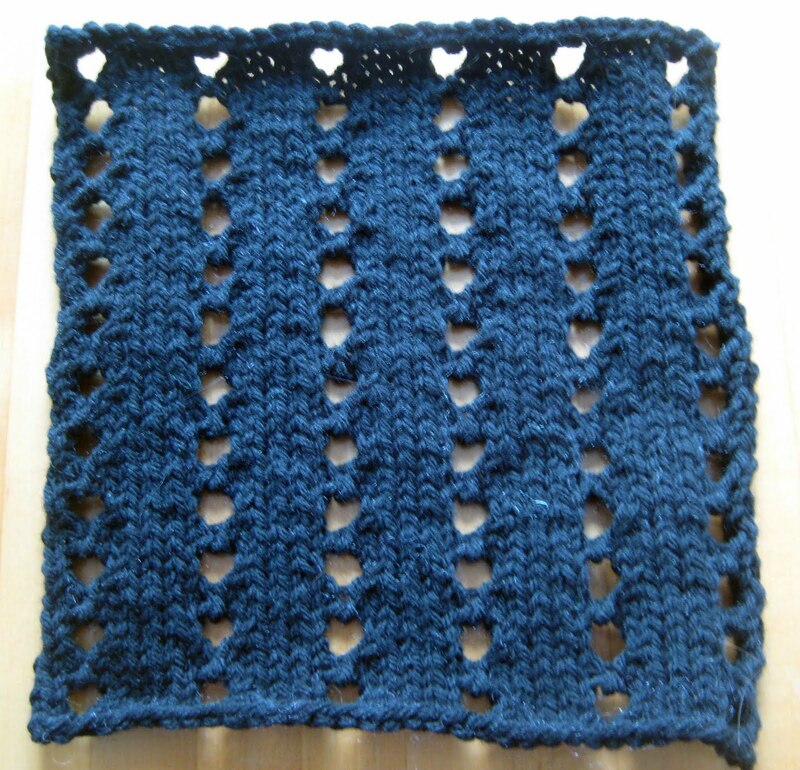 I reduced the number of CO stitches by 16 in the black square, and it is the correct size. If the size were drastically wrong, you can measure the progress of the square really early on in the project. 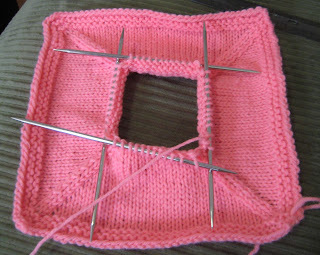 Comparing the size of the finished squares. 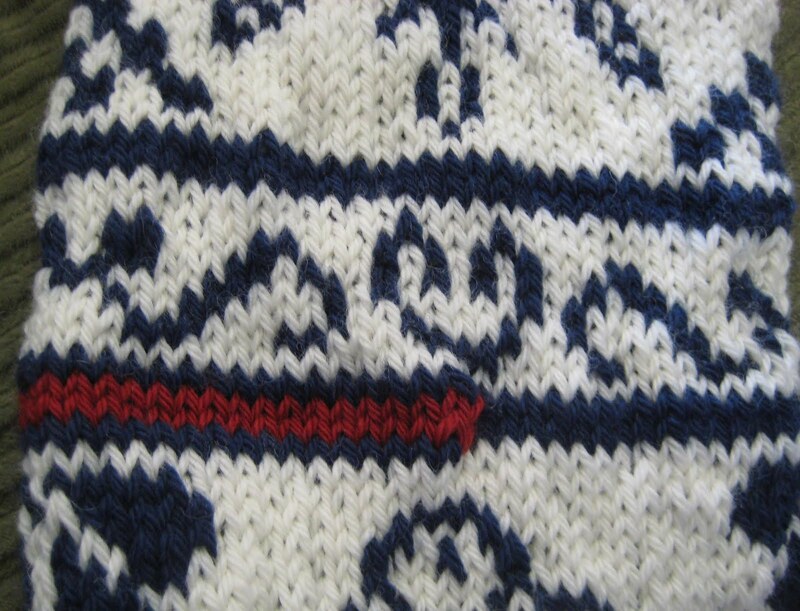 16 fewer CO stitches made a big difference! 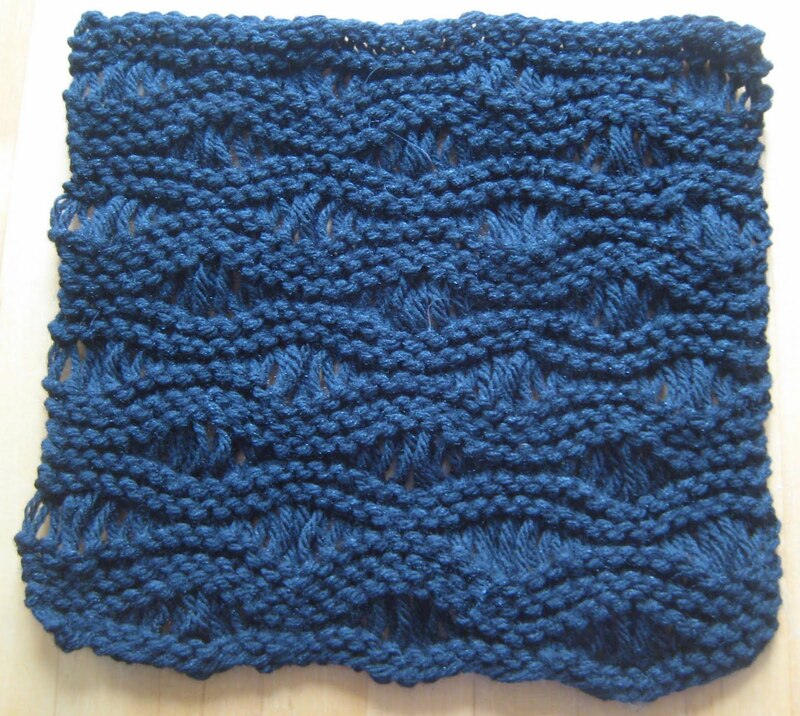 I started with this scarf pattern, casting on 34 stitches. 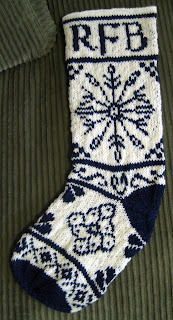 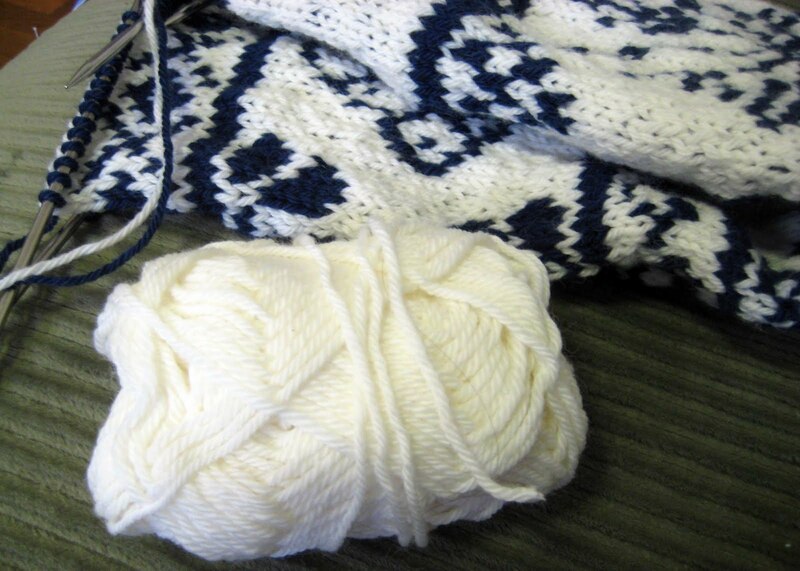 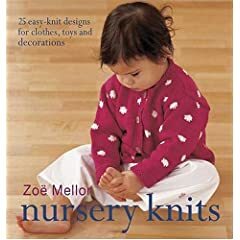 I'll keep you posted if I come across any unusual patterns that are fun for a knit-a-thon. 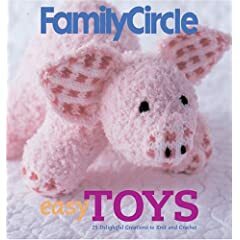 These flowers and leaves and fruits are very realistic looking. When you're told the species, you can see it in the image, which makes it so fun to read. 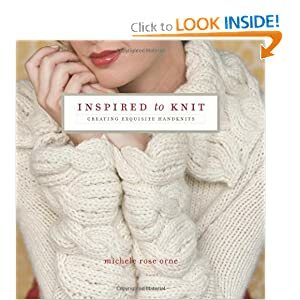 The book ends with a chapter of projects. 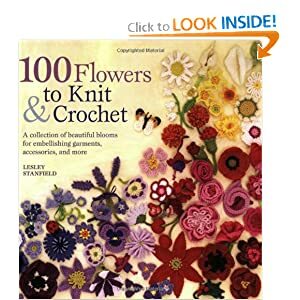 Projects that you can use these flowers in. 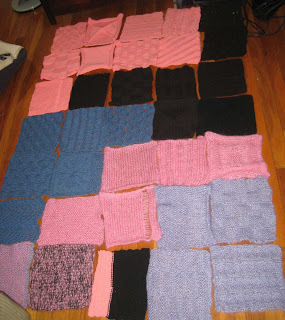 Unfortunately, these projects do not have detailed instructions, but they are provided for a source of inspiration. Personally I like the idea of using them to decorate gifts. 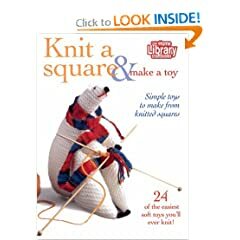 This was a fun book and great read. 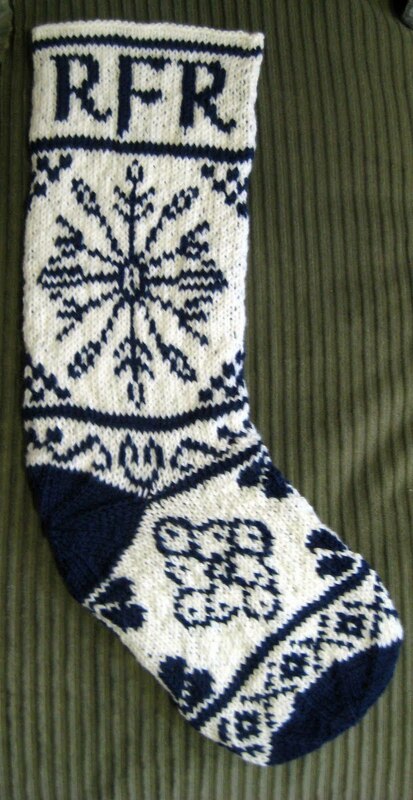 It is one that I wouldn't mind owning. 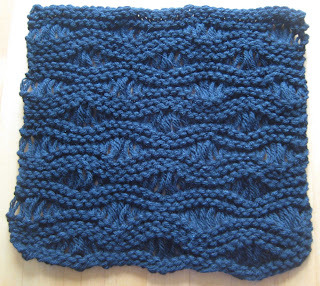 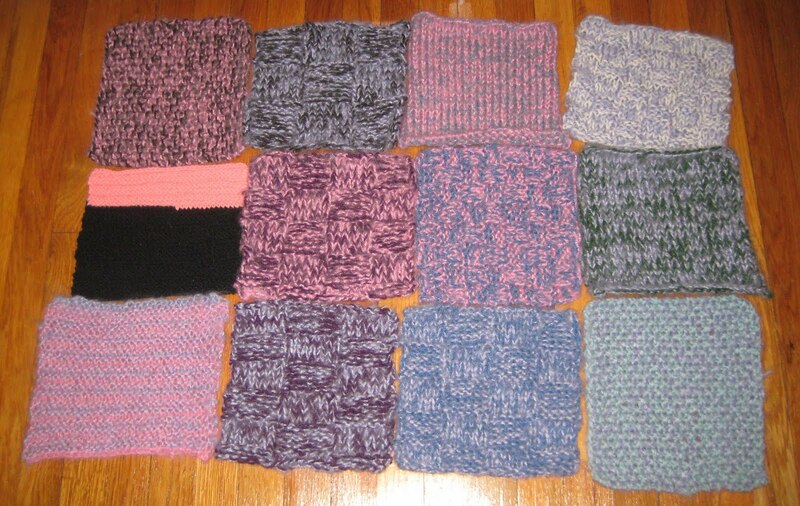 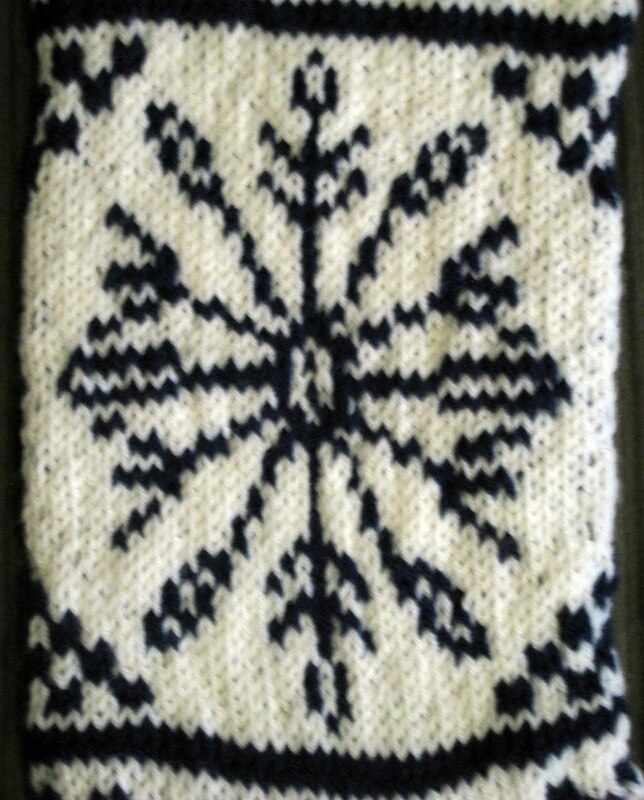 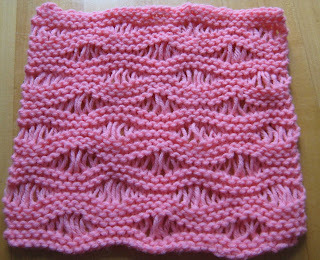 Here are two 9" square patterns that I designed while working on the 2010 Pine Street Inn Knit-a-thon. 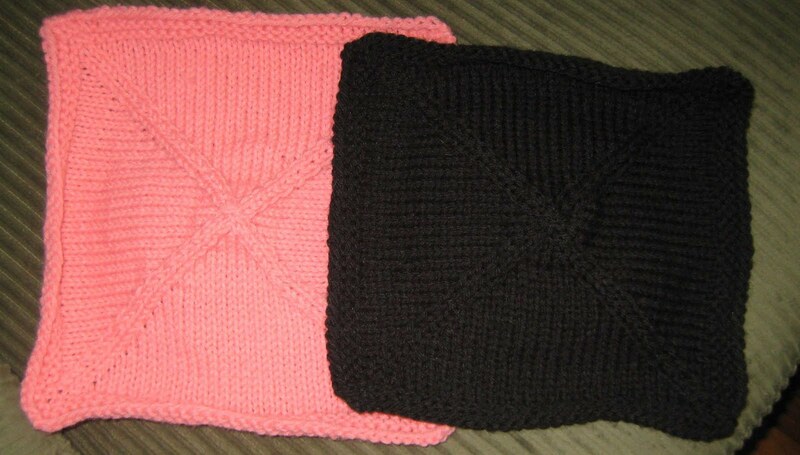 Both of these squares were knit with size 8 knitting needles using worsted weight yarn. 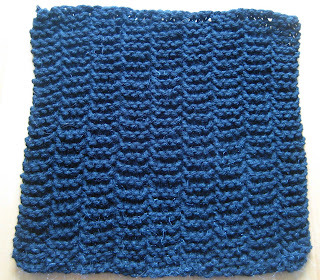 These are pretty simple squares, but as I'm going for my goal of 70 squares, finding different patterns keeps it interesting. 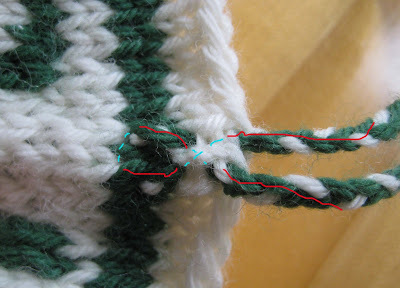 row 2 - K1, K2 tog, YO, YO, K2tog, *K2, K2tog, YO, YO, K2tog* repeat until last stitch, K1. 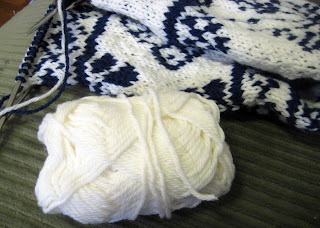 row 3 - purl across. In each double yarn over, K1, P1. repeat rows 2-5 until the piece measures 9 inches, then bind off. 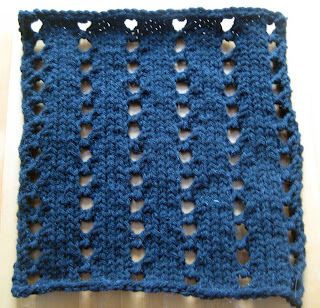 *K4, P4* across for all rows. 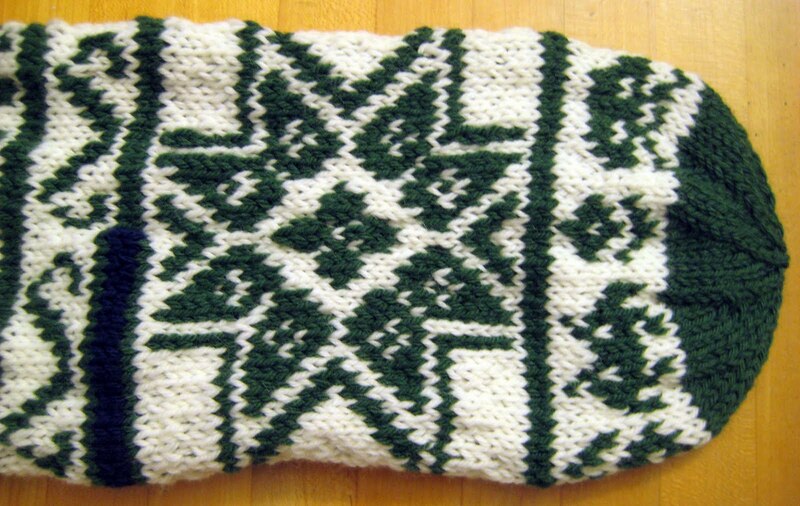 Knit until the square is 9" long, then bind off.